There are many explanations out there of Median and Mean, but it feels like we can do better. The Mean is what most people consider the average. You add up all the numbers in the set and divide by how many numbers you have. That’s the Mean. 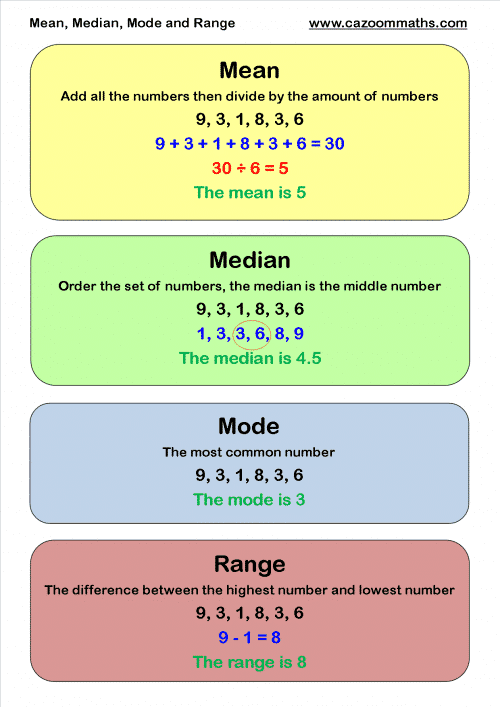 The Median is the number in a set that has an equal number of numbers above and below it. If there’s an even number of numbers, you take the Mean of the middle two. The Mode is the number that repeats the most in a set. If there aren’t any repeated numbers there is no Mode. The difference between Mean and Median is often important when detecting deception in narratives supposedly backed by data. Depending on the set of numbers in question, the Mean and Median can be significantly different, and people who want to convince you of something might give you one or the other depending on their agenda. That might be the mean, but it would be very inaccurate if most people actually make around $60,000 a year, while a few make several million. In that case the Median was what the person really wanted to know but they gave the Mean because it was a better story for selling the house. The key point here is that the agent didn’t lie—she gave actual data that helped her narrative. In short, knowing the difference between these can keep you from being manipulated by factual information. You can remember Median as “middle”, meaning half on one side and half on the other.